The Grand Strand is host to hundreds of Myrtle Beach golf events each and every year. From charitable golf tournaments to professional and amateur tournaments, Myrtle Beach is the place for them all. While the list of Myrtle Beach golf events is long, we will provide you with a few of the most notable events that the area hosts each year. This tournament usually takes place at the end of summer (late August/early September) and plays host to around 3000 golfers. Consisting of 4 rounds of golf in stroke play competition and playoff – this Myrtle Beach golf event is one for the ages! Besides the tournament, there are nightly parties and plenty of entertainment for all golfers. Open to golfers of all skill level, people from across the globe come to Myrtle Beach for this golf event. This Myrtle Beach golf event takes place in mid May and is for both retired and active military personnel. This is a 3 day event, with teams of two that are flighted based on the handicap of the team. Each day features a different and exciting format. Singles are encouraged to play, and are paired with others by the Myrtle Beach golf event staff. Talk about a great Myrtle Beach Golf Event……. The Myrtle Beach Fall Classic is held a week or two before Thanksgiving each year and consists of 4 rounds of team golf. 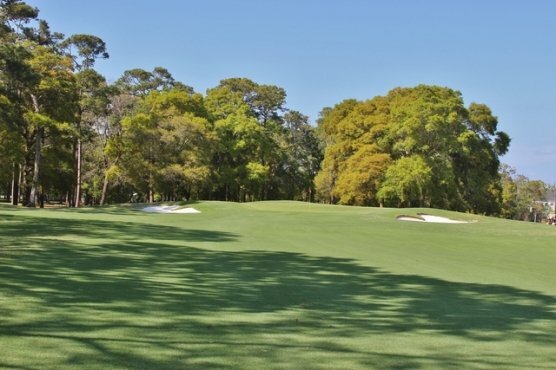 The courses that you play for this Myrtle Beach golf event are some of the best on the beach. If you are looking for a great tournament for your team that will be a lot of fun, this is the one for you! Each Monday after the Masters, Hootie and the Blowfish as well as Barefoot Resort play host to this fantastic tournament that features professional golfers, musicians, athletes, and famous people that love the game of golf. Be sure to visit the House of Blues for one of the concerts that happens the weekend prior to the golf event as well.